Bob Petite was born in 1945 in Saint John, N.B. and took his education in Nova Scotia. In 1966 he received his certificate from the Maritime Forest Ranger School in Fredericton, N.B. He began a long career in forestry that spanned over 50 years with the Department of Lands and Forests in Nova Scotia and the Forest Service in Alberta starting back in the summer of 1963 retiring in 2013. It was in Alberta that he was introduced to helicopters while working in forest management and wildfire protection. Always interested in aviation, he became infatuated with helicopters and their early history. Over the years Bob wrote for several aviation magazines. Today he is a contributing editor for Vertical magazine on helicopter history. He has just completed a book on the history of the Bell Model 47 Helicopter, a book on the history of helicopters with forestry in Alberta, and is presently working on a book on the history of helicopters in Canada. 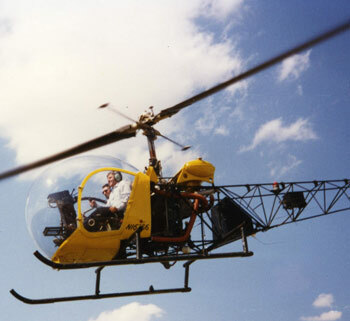 Bob is an associate member of the Twirly Birds and a Gold Member of the American Helicopter Society International. He is a current member of the Canadian Aviation Historical Society, the American Aviation Historical Society and the Bell 47 Helicopter Association, Inc.